Summat To Ate have two fantastic rooms available. The rooms are both FREE to hire, however, you must take one of our buffet packages! Unfortunately, we do not allow you to arrange your own catering as we want to ensure consistent quality which reflects the high standards of our Summat To Ate restaurant. 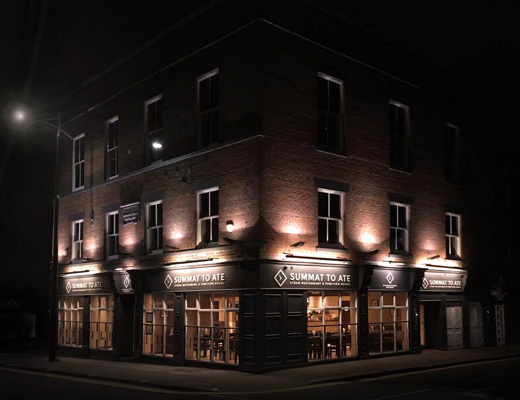 Both our function rooms are situated above the Summat To Ate restaurant and can be easily accessed via a lift ensuring all your guests can access the function rooms comfortably. Whether you’re planning a Wedding, Christening, Birthday or any other event, the events manager Kai will be on hand to ensure everything goes smoothly and will work to your budget, however big or small. Our showcase room, which is sleek & modern, is sure to be the perfect venue for any event. With a capacity of 150 people the room is free to hire on the basis that you cater with us for a minimum of 100 guests. We are also licensed to perform wedding ceremonies making us the perfect choice for your big day. If you wish to check a specific date give us a quick call on 01942 255150. 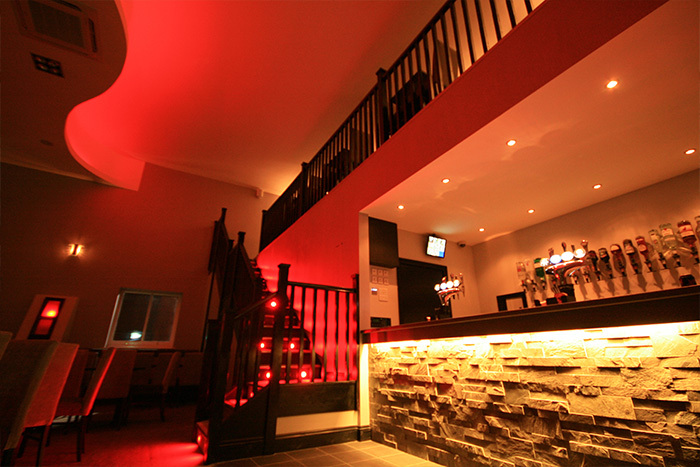 To book you will need to come down and view the room and fill in a booking form along with a deposit of £250. 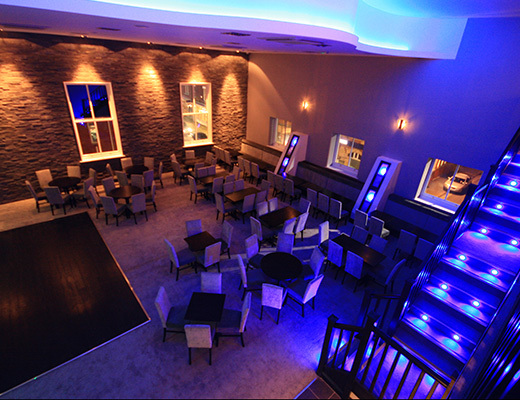 Our first floor function room is perfect for a more intimate function, with a maximum capacity of 80 guests. The room is free to hire on the basis that you cater with us for a minimum of 50 guests. This room is also licensed for wedding ceremonies making us the perfect choice for your big day. 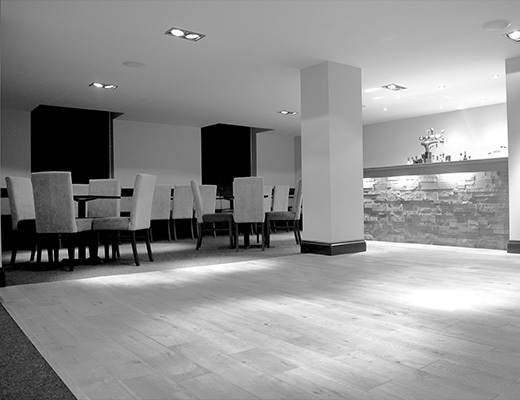 If you wish to check a specific date give us a quick call on 01942 255150. To book you will need to come down and view the room and fill in a booking form along with a deposit of £150.